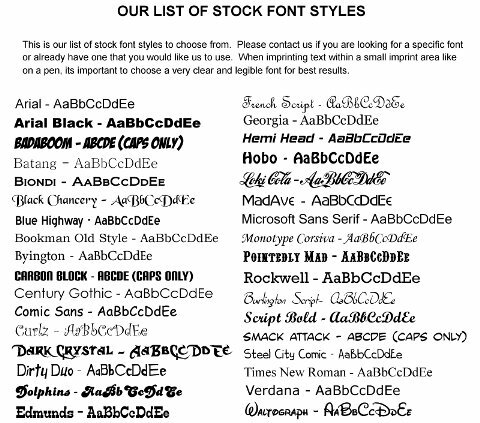 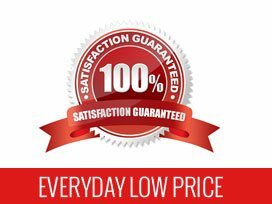 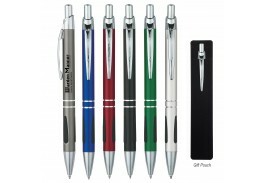 Advertising your business doesn’t have to break the bank. 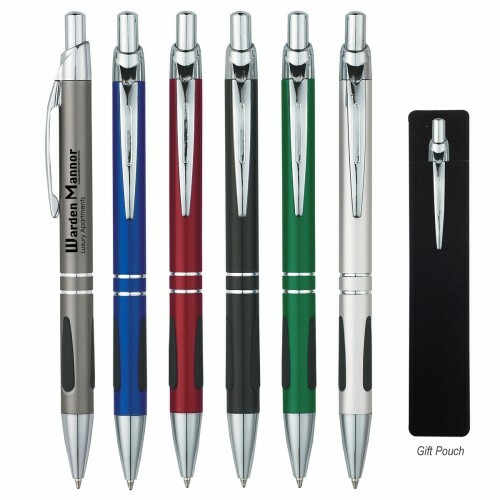 Promotional pens are an economical and successful way to market your company or event, and the Tuscani custom pen is a great place to start. 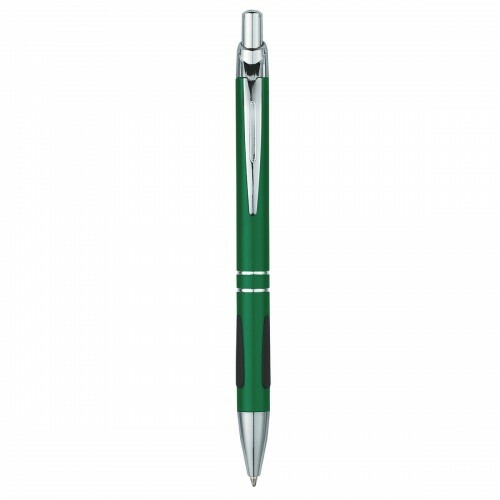 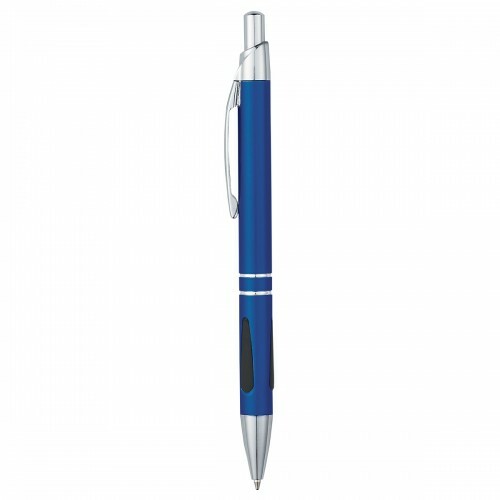 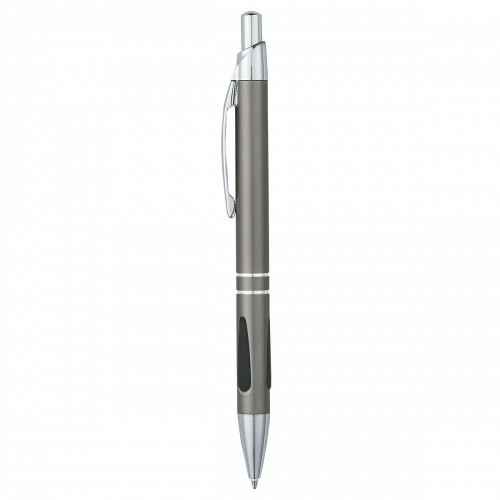 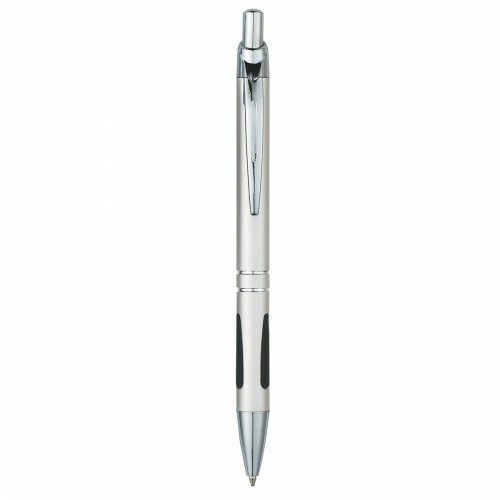 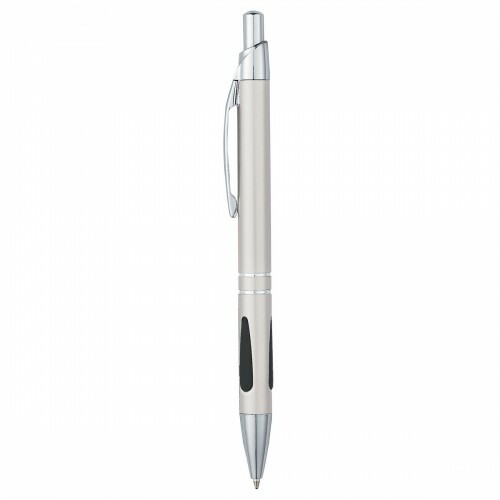 This sleek aluminum personalized pen features a silver click, pocket clip, and accents, with a Blue, Black, Green, Burgundy, GunMetal or Silver barrel. The black rubber grip makes the pen easy to hold and write with, so the user will want to use it daily providing your company with maximum exposure. 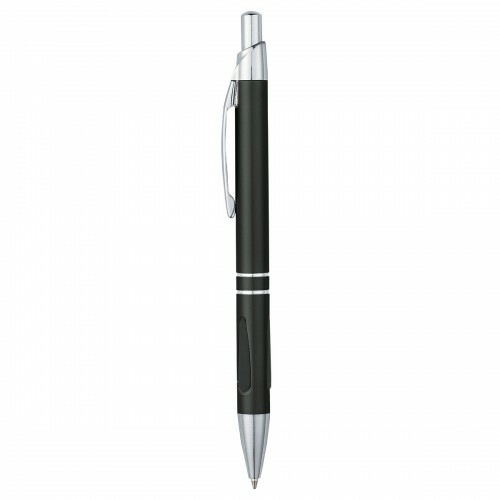 Perfect for gift giving, this chic custom imprinted pen comes with a black gift pouch to give it a more expensive look.